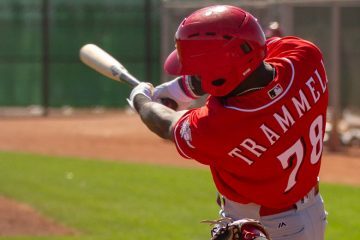 The prospect crew at Fangraphs released their Top 100 prospects today. In fact, despite calling it their Top 100 list, it actually went to 130. 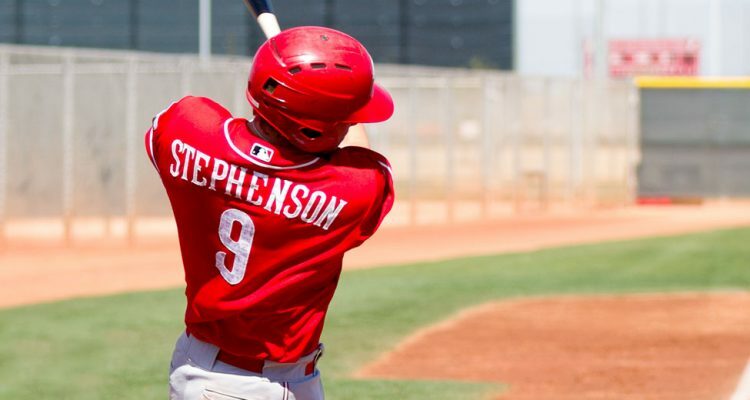 The Cincinnati Reds landed six (this post has been updated to reflect an error as Fangraphs accidentally left two players off of the list and has been updated) players in the Top 130, including catcher Tyler Stephenson. This is the first time he’s cracked a Top 100 prospect list this offseason. While Tyler Stephenson was the last of the Reds prospects to show up on the list, he wasn’t the only one. Nick Senzel came in at #7 on the list. Perhaps the most interesting part with the Nick Senzel write up is the “Estimated Probably Future Value Outcome” chart. In these charts it breaks down the different outcome probabilities for each player. The two most likely outcomes for Nick Senzel are for him to become a 60/65 player, or a 70+ player. Essentially, the two most likely outcomes are that of a perennial All-Star or MVP candidate. He has excellent plate discipline and an all-fields, gap-to-gap approach that suits his plus-plus speed; everything he slices down the line or sprays into the gap goes for extra-bases. Trammell also put on a shocking display during BP at the Futures Game and hit two absolute seeds during the game. He never did anything remotely like that in the Fall League (nor, frankly, did any of the other prospects who played in D.C. and then later in Arizona) and actually struggled to turn on balls there, but there’s a chance of huge, if dormant, in-game power here, too. Build a pitching prospect in a laboratory and the result is Greene, who has elite arm strength and athleticism. He’s followed up on the list by infielder Jonathan India at #75. 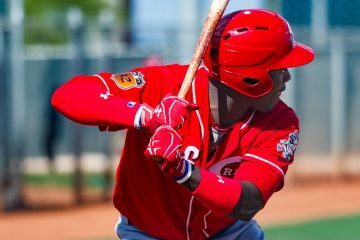 The Reds 1st round draft pick in 2018 was the drafts biggest riser according to Fangraphs. They note his all around game on both offense and defense. It’s also noted that Jonathan India’s bat is going to play. The question is whether it will be more hit than power, or more power than hit. Tony Santillan was initially missing from the list. According to the chat, there was a coding error that left two players off of the list. Both of them have Reds ties. Santillan was one of the players. Shed Long was the other. The list goes beyond 100 because all players given a 50 FV are listed. Both Santillan and Long are 50 FV players. They are listed at #131 and #132 on the list. Whether that’s where they would actually rank, or if they would fall somewhere else between prospect 46 and 132 – where everyone is rated as a 50 FV prospect – isn’t entirely clear. Either way, they’ve both been added. And it also gives you an idea of the small gap between a guy rated 50th and 130th. Their future value, at least on this list, is graded the same. All of the write ups have more information than what I’ve shared here. There is a breakdown of the tool grades for each player, more to the write ups, and a break down of their likely outcomes. Go check out the entire list. Kind of surprising that Santillian didn’t even make 100-130. However, another good year, and he will be top 100 easy. Just to update this: In the chat it was noted that Santillan, and former Red Shed Long both should be on the list and that there was a coding error that left both unlisted. After the chat is completed it will be fixed. Once it is, I’ll update this article to reflect that. Ha! Fangraphs fixed it but instead of sliding them into an appropriate spot, they just added them as 131-132. I know that Kiley and Eric have mentioned in the past that there have been some lower renowned guys (40-50 FV) where they’ve been misled by multiple evaporators in the past. From what I remember, they were saying that it’s often by either rival clubs who are trying to torpedo the prospect’s value or the prospect’s team trying to generate interest. I wonder if that’s the case here. Doug, I think that quote about Santillan that you referenced in the article was talking about his prep days, not his current performance. Do. Not. Rush. Updates. Dummy. Fixing it now. Good looking out. Well Santillan maybe walking less but he will likely have walk issues at the MLB level because his command has not improved. He is walking less because he is hitting the heart of the plate more. With his stuff he can get away with that at this level but it will not fly at the MLB level. You can see by his HRs and hits that some of the more talented hitters are making him pay but they is not enough of these type hitters to expose his weakness by the stats. This is why with the plus fastball/slider combination can make him a devastating reliever since the few ticks added as a reliever can offset some of the command issue. 97 heat is harder to hit in the zone than 94. This is what the Reds coaching philosophy at A+ and AA has been doing for years and is part of the reason for the high BB and HRs at the MLB level by pitchers developed by the Reds. Reds pitcher can get away with this because of the leagues less advanced hitters and pitcher friendly environments. It is one of my major beefs with pitcher development. Not exactly heartwarming to see Hunter Greene despite being #51 on the list also rated at nearly a 1 in 2 chance of being a bust while only about a 1 in 3 chance of being a 50/55 or greater. He is going to be 19 this year and had some arm issues last year. For a prospect that is so raw, it makes complete sense that they would put such a high bust rate on him. But remember, he was the best prospect in his draft year for a reason. As long as the arm stays healthy, he could be top 10 after this year. Still, I think if I were a Reds decision maker, had this data in front of me and trusted its likely validity, I would be strongly inclined to package Greene to make a Realmuto or Kluber deal work.